Lauched The New Wifi device with many Attactive Plans and Offers, With contracts, Without contracts and many data Plans. Here we provide u Unlock solution for your Locked Zong 4G Bolt (Huawei E8372h (E8372h-153 ) , After unlock u can use all networks 4G 3G 2G worldwide. Surf on the go with our 4G Bolt (Huawei)which connects upto 10 wifi devices. Just plug in your wingle in any USB power source (laptop, USB plug etc) and connect with the blazing fast zong 4G LTE network. Supports Wi-Fi 2.4GHz and 5 MHz bands. 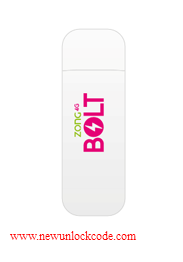 What is Zong 4G Bolt ? Zong 4G Bolt is a USB modem with built-in Wi-Fi router which plugs in your laptop, PC or any power adaptor having a USB port. It can support up to 10 multiple internet connections simultaneously and does not require any drivers, you just need to plug the device in the USB port and it will connect automatically to Zong 4G network. Can I send SMS using Zong MBB devices? Yes you can send/receive SMS from your Zong MBB devices (dongle, wingle etc). When you plug in the device into the laptop/PC it will automatically open a software on the browser of your laptop/PC. 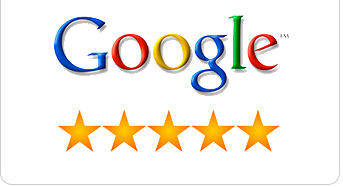 You can send/receive SMS from this software. Which Operating Systems does MBB devices support? Zong MBB Devices are compatible with Windows 7, Windows 8, Windows 8.1, Windows 10, MAC OS X 10.7, 10.8, 10.9, 10.10 and 10.11 with latest upgrades. - Zong MBB Devices do not support Windows RT (RT stands for Runtime, this version only runs built-in apps or apps that you download from the Windows Store). 5. Now your Zong 4G Bolt (Huawei E8372h (E8372h-153 ) device will shows network signals and strats working !!!
" Purchase Online Your Genuine Code (c) Huawei 2018 " also u can contact via the contact form " top right side unlock in 10 min "